Family Life by Akhil Sharma has won the 2016 International Dublin Literary Award. 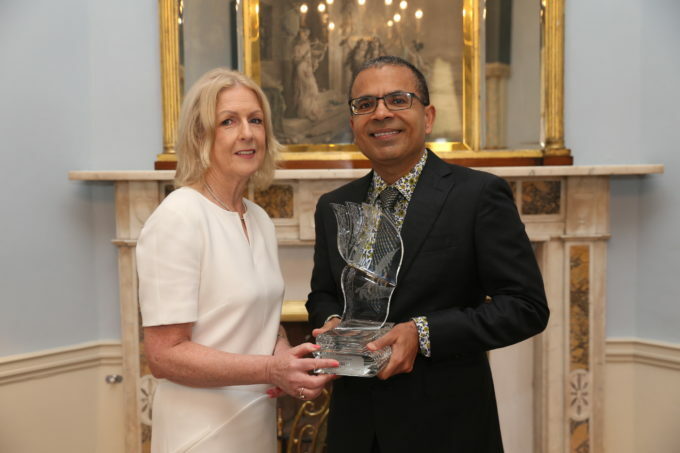 Akhil was presented with a cheque for €100,000 by Owen Keegan, CEO of Dublin City Council at a reception in the Round Room of the Mansion House, Dublin on Thursday 9th June. Family Life was chosen from a list of 160 titles in 19 languages nominated by libraries from 118 cities in 44 countries. The International Dublin Literary Award is the largest prize for a single work of fiction in English and is sponsored by Dublin City Council.